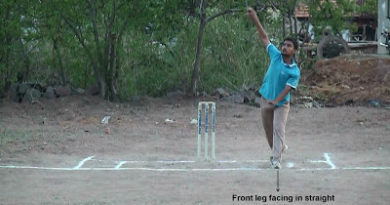 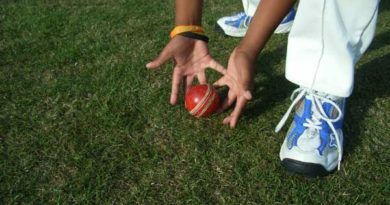 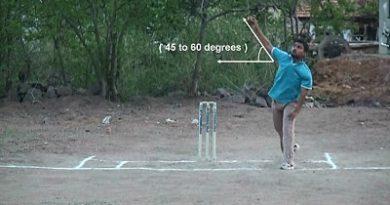 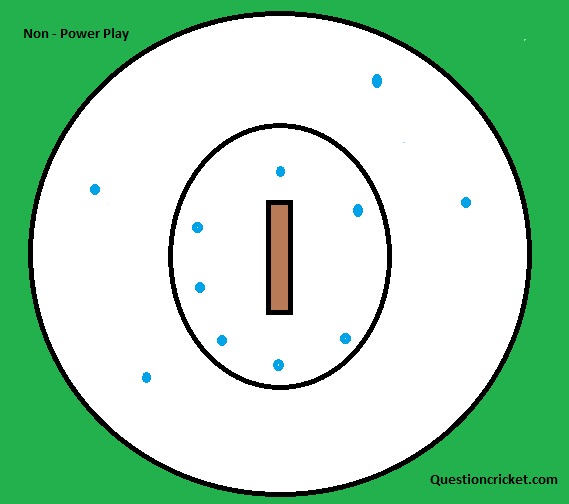 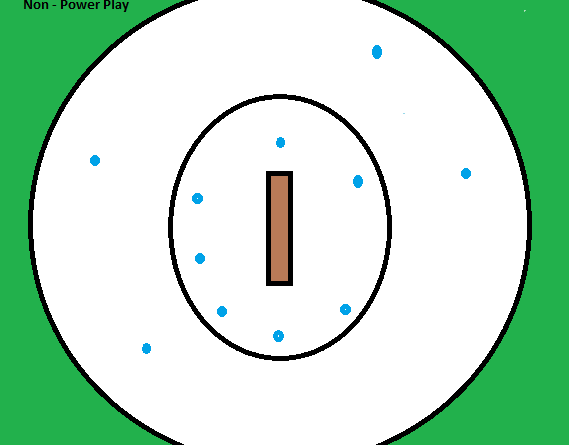 A Powerplay is a name for the fielding restrictions in limited-overs and Twenty20 cricket. First 10 overs of an innings are mandatory Power play , where the fielding side should have maximum two fielders outside the 30 yard circle. Batting power play is the next 5 over restriction controlled by the batting side where the fielding side should have maximum three fielders outside the 30 yard circle. The batting side can chose this power play at any time and should be completed by before 40th over of an innings. 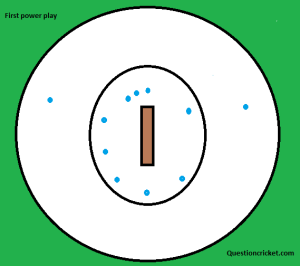 This power play starts by default in 36th over of an innings by the umpires if it is not selected by batting side. Finally the remainder of the innings ( 35 overs ) the fielding side should have the maximum four fielders outside the 30 yard circle.